Who to watch in 2010? Letherette. The duo out of Wolverhampton may only have two official remixes to their name, the excellent reshaping of Bibio's "Lovers' Carvings" and Machinedrum's "Late Night Operation", but they've managed to make a scene shaking impression. Further listens on their MySpace page and you hear what could very well be the UK's best kept secret. 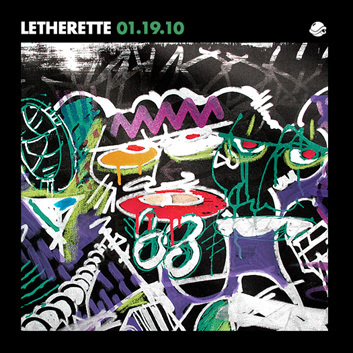 We're proud to present this guest mix created by Letherette, showcasing a collection of beats and some personal favorites.